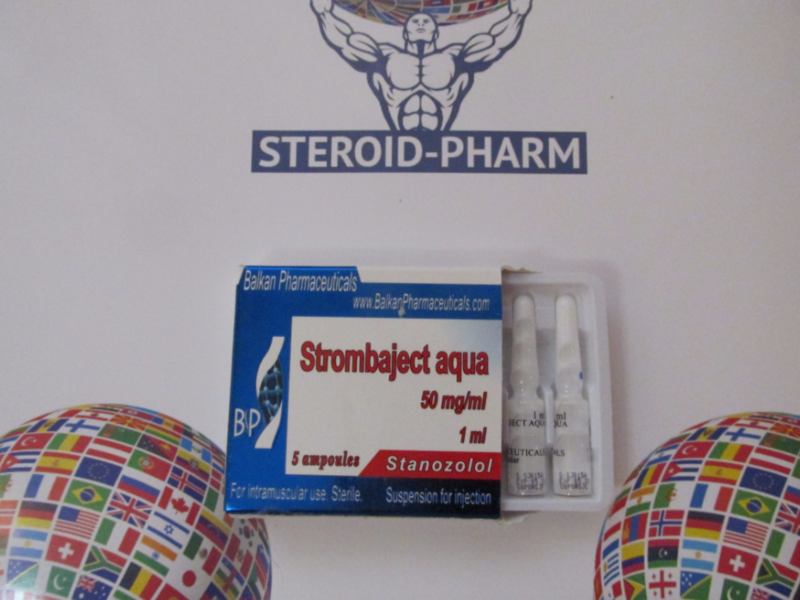 Strombaject aqua is a steroid drug of a new generation that has a fat burning effect. This medication is produced by Balkan Pharmaceuticals. The drug is a substitute for Winstrol (injectable stanozole), it is used for rapid increasing of muscle mass and is a perfect tool for losing weight. Strombaject aqua strengthens bones and bone tissues by contributing to the accumulation of phosphorus and calcium and improving the supply of tissues with oxygen. 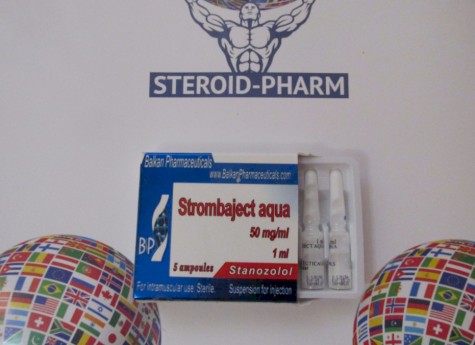 The active substance of Strombaject is Stanozolol, which doesn’t dissolve in oil like most of the steroids, but is soluble in water. Because of this fact the drug should be used with minimal interruptions, since the half-life of this drug is short. If you combine the systematic strength exercises with taking Strombaject aqua, you can gain about 10kg of muscle mass without many efforts. How to take Strombaject aqua? The most important moment while taking steroids for achieving desirable results, is their correct taking. You should always be stick to the recommended dosage and don’t exceed it. Many people think that if exceed dosage they will achieve the result faster, but it is fallacy. You will not only achieve expected results, but also can cause irreparable harm to your health condition. The recommended dosage of Strombaject taking is equal to 50mg once per every two days. It is the dosage that will bring you maximally effective and noticeable result. The minimal dosage is equal to 50 mg of drug twice a week. The duration of the course is equal to 50 mg twice a week for about 6-9 weeks, or to 50 mg twice a day for no more than 6 weeks. In the last week, Clenbuterol shouldn’t be taken, because Strombaject aqua does not provoke the accumulation of fluid in the body. Another advantage of Strombaject Aqua is that athletes who take Strombaject Aqua in the form of injections do not face such a side effect as the aromatization of the drug in estrogen. 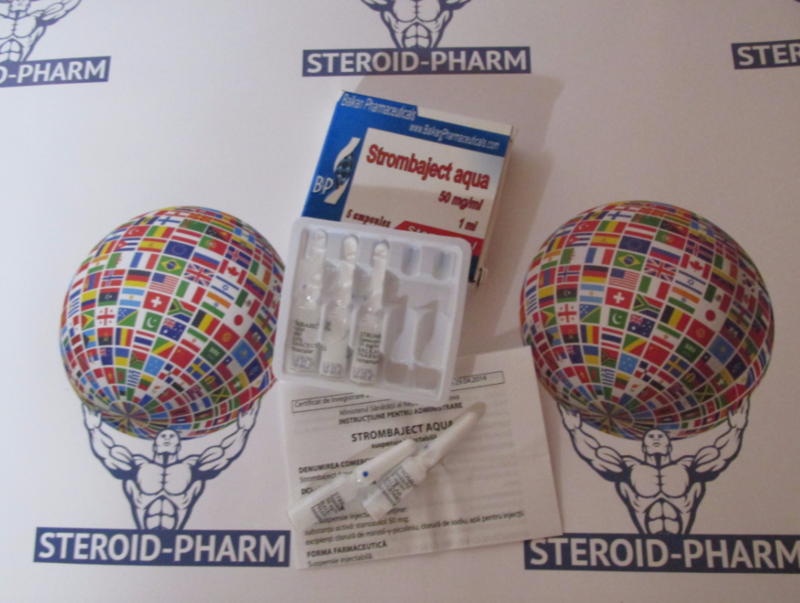 Because of a short period of life, Stanozolol leads to better results, athletes and bodybuilders take 50 mg of Strombaject Aqua once per two days or every day. The average duration of such course is from 4 to 8 weeks. The Strombaject drug can be combined with such drugs as Parabolan, Danabol, Turinabol to enhance the effect of these drugs. Also in order to improve the effect of the drug you can use Nandrolom and Primbolom. For such combinations, side effects are not typical, so with their application you can achieve good results faster. Strombaject Aqua and Anavar combination is considered one of the most effective and safe combination for muscle mass gain and loss of fat, without water retention and side estrogen effects. Athletes can also achieve high results when taking Strombaject Aqua combined with Trenbolone and Testosterone propionate. Strombaject nowadays is available on several websites in the Internet. You will see that the difference of prices on these websites is great. It happens because that many websites offer fake drugs at the lower prices in comparison with other websites. Such trick is very effective because many people want to save their money, but at the same time they don’t understand that they cause irreparable harm to their health, not to mention the fact that they will not achieve expected result. We recommend you to order medications only from trustable dealers that are directly connected with manufacturer. The safest and the simplest way is to order drugs from our online store. In such case you will get excellent quality medicaments and be pleasantly surprised with our prices.